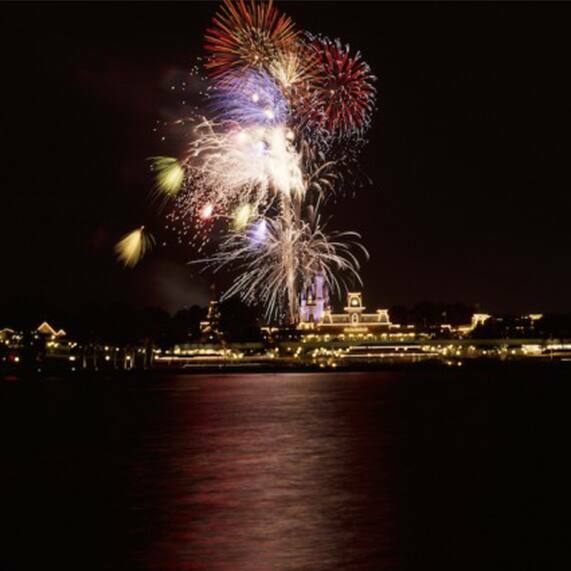 Cast your sights on the new Ferrytale Wishes: A Fireworks Dessert Cruise"”the perfect way to take in a breathtaking view of the Magic Kingdom fireworks from an exclusive spot on Seven Seas Lagoon. Celebrate your engagement or cap off your honeymoon by sailing on this iconic, double-stack ferry boat filled with dazzling desserts and drinks. Enjoy a fantastically sweet ending to your day before watching the dazzling "Wishes" overhead, the largest fireworks spectacular ever at Walt Disney World Resort. The medley of famous Disney songs and the voices of Disney characters are piped through the boat's sound system for this magical viewing. And you can bet there will be some special "magical moments"...Disney style. For more information and to reserve your sailing, check out the Disney Parks Blog. this is soo magical!! We are planning a Disney World wedding in November next year, is this going to be something to book still? Or is this just a 2015 specialty? My small Escape wedding party, our fireworks cruise is booked for April 2016!! !